As you already know WG plans to release World of Tanks on the Xbox. Earlier, on our website we have already written about this. 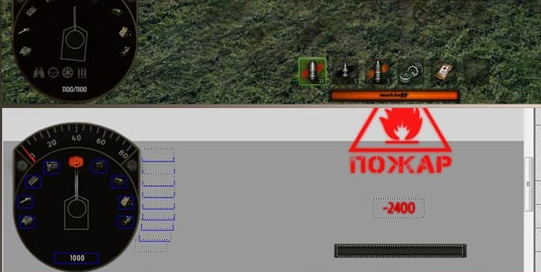 So our favorite modder marsoff decided to do the same damage panel from World of Tanks 0.9.17.0.1 Xbox Edition for PC at WOT. It was very fun and interesting. It’s a new idea for damage panel , which we think will win popularity among the tank as it has done damage panel from Zayaz, Rabbit, Gambiter etc. In addition to damage panel you can download the source code and damage panel to the World of Tanks Xbox Edition for further editing. Copy the folder 0.9.17.0.1 and configs in WOT / res_mods /, confirming the replacement.